Campbell Mellis Douglas, surgeon, soldier, writer, inventor and sportsman (b at Grosse Ile, Qué 5 Aug 1840; d at Wells, Somerset, Eng 31 Dec 1909). Charles Constantine, mounted policeman (b at Bradford, Yorkshire 13 Nov 1849; d at Long Beach, Calif 5 May 1912). Immigrating to Canada as a young man, Constantine was a member of the RED RIVER EXPEDITION sent against Louis Riel and the Manitoba Métis in 1870. Ephrem A. Brisebois, soldier, mounted policeman, registrar of land titles (b at South Durham, Qué 7 Mar 1850; d at Minnedosa, Man 13 Feb 1890). He served briefly in the Union Army during the American Civil War, and from 1868-70 with the Canadian Pontifical ZOUAVES in Rome. François-Louis Lessard, army officer (b at Québec C 9 Dec 1860; d at Meadowvale, Ont 7 Aug 1927). He served in local militia units before joining the Quebec Garrison Artillery (1880). As a lieutenant in the Cavalry School Corps he served during the NORTH-WEST REBELLION. 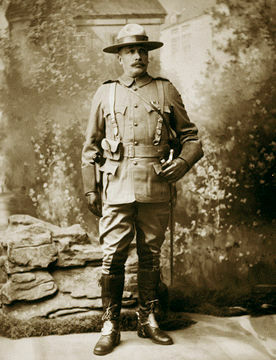 Sir Samuel Benfield Steele, CB, KCMG, mounted policeman, soldier (born 5 January 1848 in Medonte, Canada West; died 30 January 1919 in London, England). 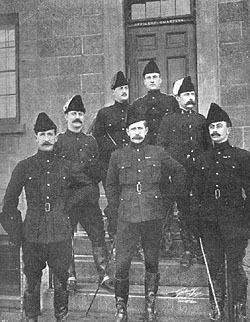 As a member of the North-West Mounted Police, Steele was an important participant in the signing of Treaty 6 and Treaty 7, the construction of the Canadian Pacific Railway, the North-West Rebellion and the Klondike gold rush. 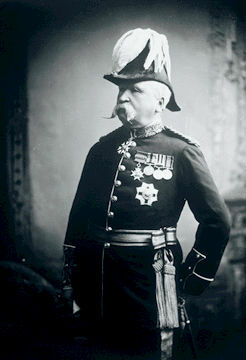 His military career began as a private in the Red River Expedition, included service in the South African War as an officer commanding Lord Strathcona’s Horse and as a major general during the First World War. Sir William Dillon Otter, soldier (b at Clinton, Ont 3 Dec 1843; d at Toronto 6 May 1929). A veteran of the Battle of RIDGEWAY in 1866 and a part-time soldier, Otter joined the permanent force in 1883. Thomas Bland Strange, army officer (b at Meerut, India 15 Sept 1831; d at Camberley, Eng 9 July 1925).